Promedica Intl. (PMI) delivers the quality and consistent results of a large Clinical Research Organization with the efficiencies and responsiveness of a small CRO. PMI has been the CRO of choice for a variety of implantable, diagnostic and Class I & II device research projects in a variety of therapeutic areas for the past 35+ years. PMI has been chosen for a variety of pharmaceutical clinical research projects for clients ranging from industry leaders, mid-size companies; to early-stage companies and private practitioners. PMI has been involved in more than a hundred device (implantable, surgical and diagnostic), drug and biotechnology clinical research projects in ophthalmology. We have managed drug and medical investigations over a wide range of medical specialties and therapeutic areas, and we have managed studies of short durations as well as studies involving long-term follow-up. Our commitment to quality is evident in our ISO-certified Quality Management System (QMS), where standard operating procedures are maintained for study-related activities. This quality commitment guides each team member and helps us meet professional standards of quality and reliability for every client and every project, regardless of size, situation or location. Our software and hardware IT capabilities are designed with an eye toward scalability, enabling us to provide individualized options to suit your trial’s data and information processing needs. In addition our data security practices are governed by 21 CFR Part 11 providing consistent security oversight. PMI has a proven track record of delivering quality results, on time and on budget. The clinical operations and data management services of Promedica Intl. have been vital to several of our recent successful pharmaceutical and medical device development programs at Bausch Health. We have been very satisfied with the quality and commitment of Promedica staff as our partners and look forward to a lengthy continuing partnership with them. 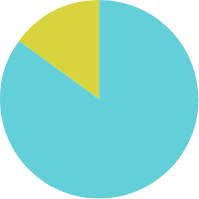 Repeat clients and word of mouth referrals are responsible for more than 85% of our projects. PMI teams are regularly rated highly —averaging 4.8 out of a maximum 5 point score. 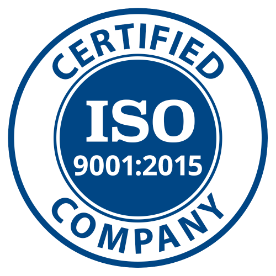 ISO-certified processes are the primary factors enabling us to consistently provide services highly regarded by our clients and their related study teams.